In order to help children improve their fine and gross motor skills, CEPIA already offers physical therapy classes at its Huacus-based center. Additionally, the kids take music and art classes and other activities to emphasize rehab, and all of these programs are conducted by a licensed physical therapist. About two years ago, CEPIA extended its efforts for these children, whose diagnosis’ range from Down Syndrome, Autism, Cerebral Palsy and others, to hydrotherapy. Every four to six weeks, at local hotels, condominiums, and private residences, between 10 and 12 children participate in pool-based activities. 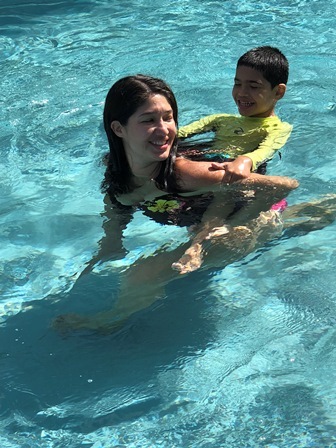 In December, the Best Western Tamarindo Vista Villas hosted the kids in their pool. 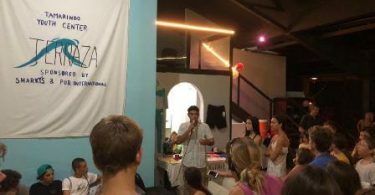 “Many of the children do not have access to a pool and we have seen the pool activities improve their physical and emotional wellbeing,” said Courtney Borquet, President of CEPIA. Also in attendance at these events are the parents, along with the physical therapist and volunteers who assist in the hydrotherapy. The agenda for the day in the water is an hour and a half to two hours in the pool, then they have a snack. All food and drinks are provided by the hosting hotel or CEPIA. All kids are transported by CEPIA. Some of the hotels and facilities that have offered their pool to the children in addition to the Best Western Tamarindo Vista Villas include Hacienda Pinilla, Capitán Suizo, JW Marriott, and La Selina. Back at CEPIA headquarters, new programs are also in the works for the disabled of all ages. 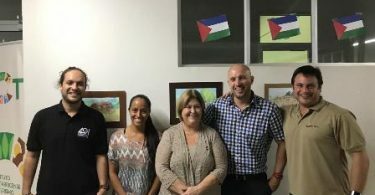 “I would like to start speech therapy activities for the kids that visit CEPIA, and more activities for teenagers with disabilities including social functions and work training,” Borquet said.